As Samsung Galaxy S5 Android 5.0 Lollipop update rolling out in countries other than United States, people are curiously waiting for Galaxy S5 Lollipop in stateside. People asked to share my opinion about U.S. roll out. So here I am showing you what you what you can expect from the U.S. Galaxy S5 Lollipop update. Last year, Samsung started Galaxy S5 Android 5.0 Lollipop update for its users in selected areas of world. This update delivered some awesome features such as revamped core TouchWiz applications to match Google’s new Material Design, performance improvements and much more. It is known as first major update to the Samsung Galaxy S5. Samsung Galaxy S5 arrived with Android 4.4 KitKat in April, last year. It is Samsung tradition as they rollig out this update extremely slow. Right now it has spread to just in selected regions including UK. In USA we have a wide list of Samsung Galaxy S5 users on Sprint, Verizon, T-Mobile, AT&T and so on, waiting for Lollipop update in silence. This silence from Samsung is killing some Galaxy S5 users here in USA, especially those users who are dealing with Android 4.4 KitKat problems. Several weeks have gone since Galaxy S5 Lollipop released. We are getting lot of questions about this update. So today let`s see what should you expect from Galaxy S5 Lollipop update in United States. These are the prediction to set some basic expectations for Galaxy S5 users in United States. It`s been observed that all these type of big roll outs come without warning. So you should not expect anyone to announce a date. You can expect a majority of updates to be announced on same day when they will start rolling out in USA. his is the usual behavior of U.S. carriers, as they rarely give any Galaxy Android update details. Samsung galaxy is still working on to take lead from HTC. So, stay patient and believe that updates are on their way. We believe that Samsung is still testing it`s update before rolling out in USA and as extra testing takes time, so you have to wait for it. Well that`s our theory. If you are thinking that probably this update won`t come in USA then you should think again. It`s samsung tradition that there is months of gap between their update rolling out in each country. You should expect both updates, Android 5.0.1 or Android 5.0.2. Samsung can release that after fixing their bugs. The only one way where we don`t see any fixes from Samsung is, if they provide Android 5.0 Lollipop update with all fixes. It’s hard to predict the exact release days It is well known that updates usually start on weekdays. So the day and time is random and unpredictable. It can be morning or evening. Believe me this is not Apple, this is Samsung. U.S. carriers usually don’t release software updates on the same day. It is very rare that multiple roll outs start on same day. Sprint has a track record so it’s is expected that It gets the very first Galaxy S5 Lollipop update in USA. Sprint’s Galaxy S5 Lollipop is the only update to have been confirmed. But still hard to say that who will be on last place of this list. Overall U.S. Galaxy S5 Lollipop roll out, to be staggered. We can expect that carriers don`t run the updates all together on the same day. Android 5.0 Lollipop update is one of the biggest update that you can expect with ton of new features including parts of Google’s new Material Design. This is a large update so we would expect full of carrier-specific changes. 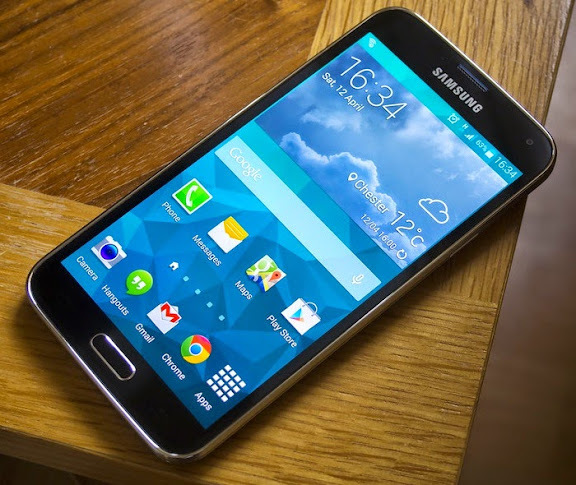 Many of Samsing galaxy S5 users are dealing with Android 4.4 KitKat issues. Android 5.0 Lollipop will probably fix those issues. Android 5.0 Lollipop will also have it`s own problems. Samsung and it`s careers will do their best to fix major bugs before public release. Just remain patient and wait for Android 5.0 lollipop update for your samrtphones. It is on it`s way to USA, will come with surprise. IF you like this article, don`t forget to share on twitter and Google Plus. Don`t forget to like us on facebook and subscribe eAskme newsletter to get free updates.